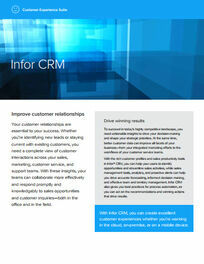 Create excellent customer experiences with Infor CRM. Infor CRM is the most flexible and easy-to-use solution in the industry- providing you with anytime, anywhere, any device customer relationship management that goes beyond just being a database. With Infor CRM, you will have a complete view of sales, marketing, customer service and support, all while taking advantage of cross-departmental data. Built for your business, Infor CRM has industry-specific capabilities, deep integration (CRM integrates with Infor ERP and other apps), and unparalleled flexibility and control in how you deploy, use, and pay for your solution. 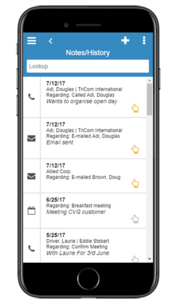 CRM for the Mobile World: Infor CRM Mobile extends rich functionality to smartphones and tablets, giving your mobile workforce a strong competitive advantage. Better Interactions: Rich customer profiles and sales productivity tools help users identify opportunities and streamline sales activities. Simultaneously, sales management tools, analytics, and proactive alerts drive accurate forecasting as well as effective team and territory management. 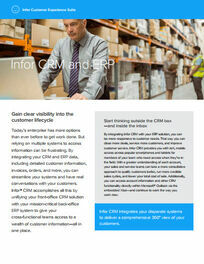 Ultimate Flexibility: Attain unparalleled flexibility and control in how you deploy, use, and pay for your CRM solution. 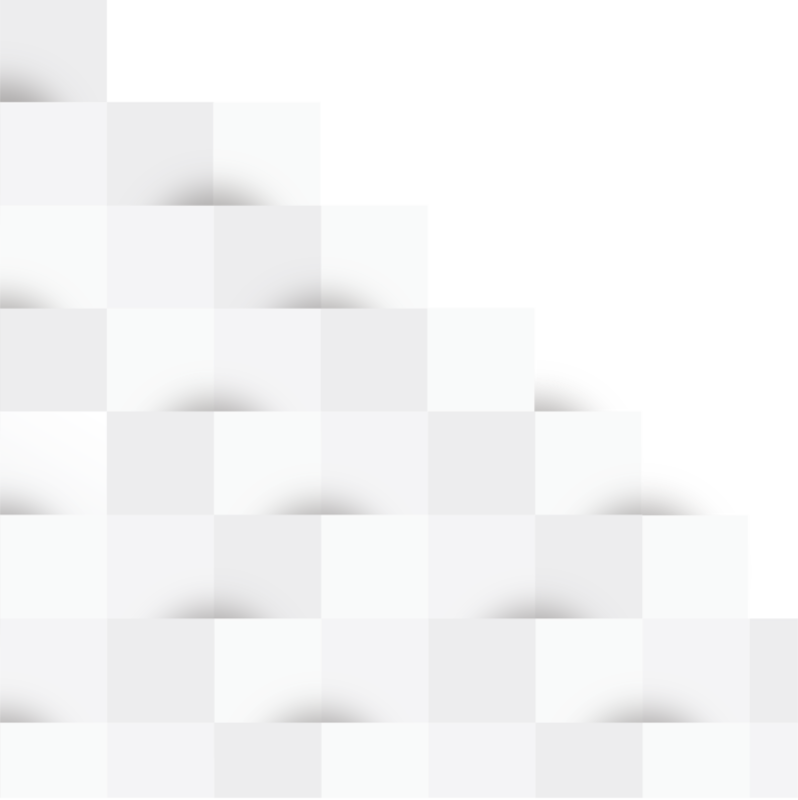 Cloud, on-premise, hybrid, and mobile options accommodate your business needs. Rich Integration: Empower everyone in your organization to build better customer relationships with integration to business management applications, ERP software, desktop productivity tools, e-marketing and social media.